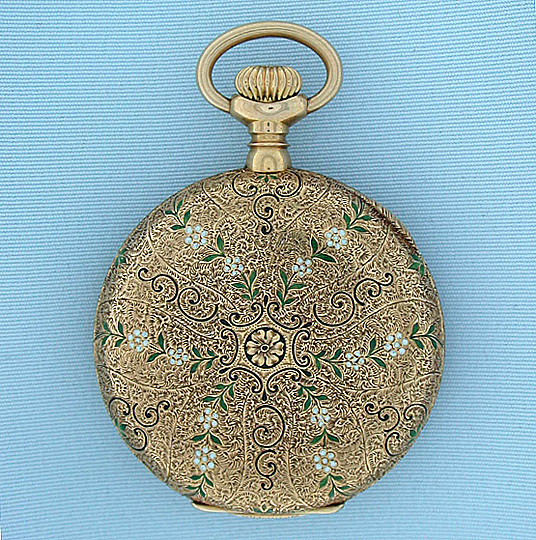 Fine Swiss 18K gold and enamel ladies antique hunting case pendant watch by C.H. Meylan circa 1899. 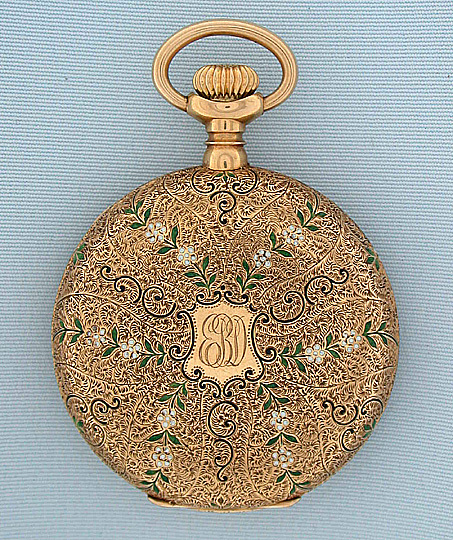 The original American "JS" case engraved overall and with flowers enameled in green, white and black. Monogram on the cover and inscription inside. 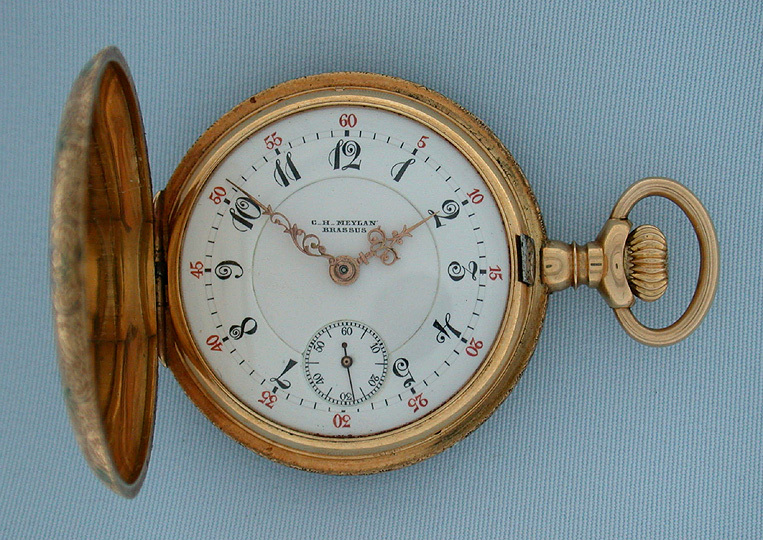 Fine double sunk enamel dial (minor repair) with fancy arabic numerals and red 5-minute markers. 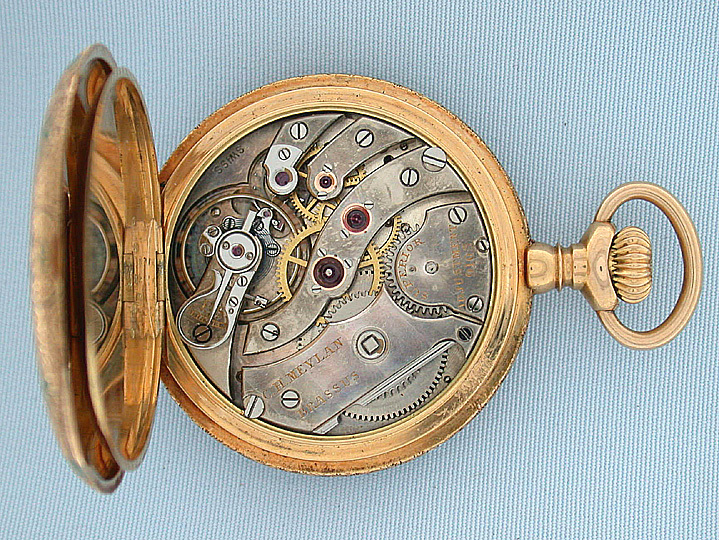 First quality 20 jewel nickel movement marked "Superior" with screwed gold jewel settings and precision regulator.